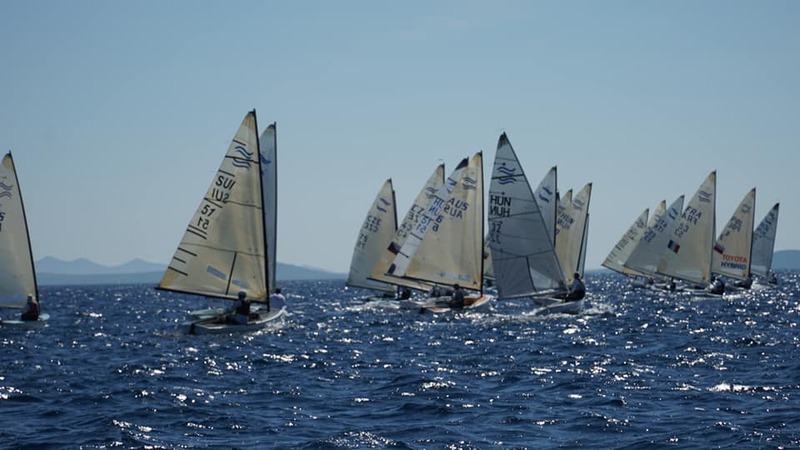 65 boats entered the first FInn European Masters held at Split Sailing Club in Croatia with sailors travelling from 15 different countries. 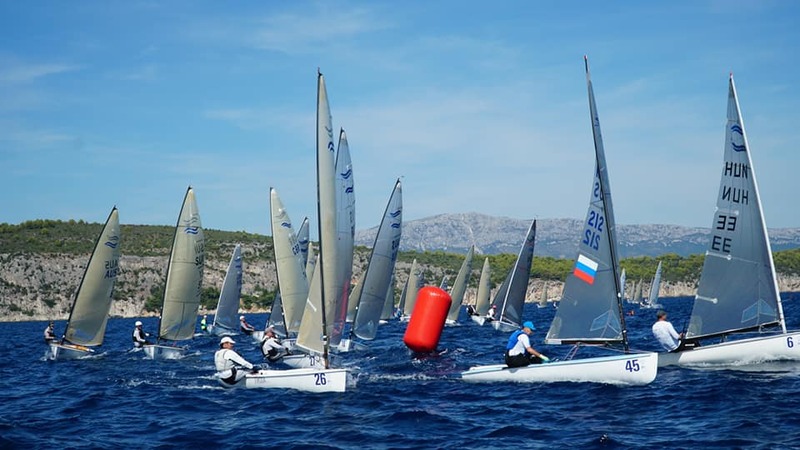 On day one two races were started in 10-12 knots with a long 2 mile beat, both races were won by Vladimir Krutskikh from Russia the 2015 & 2017 Masters World Champion closely followed by Karlo Kuret from Croatia, a four time Olympian and Michael Maier a six time Masters World Champion and Olympian. Day two was sailed in slightly less breeze but still with a very difficult chop to contend with. The third race won by Krutskikh and the fourth by Kuret. 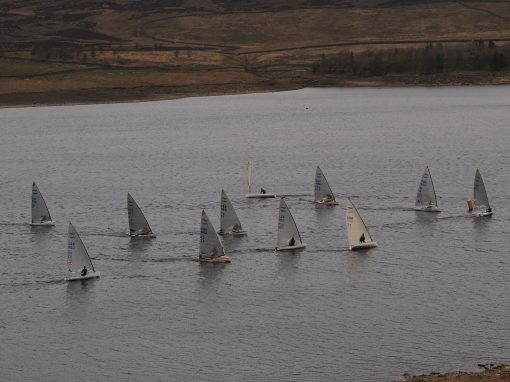 Day three was much lighter with the whole fleet needing to be towed out to the race area which was at least 3-4 miles from the club. 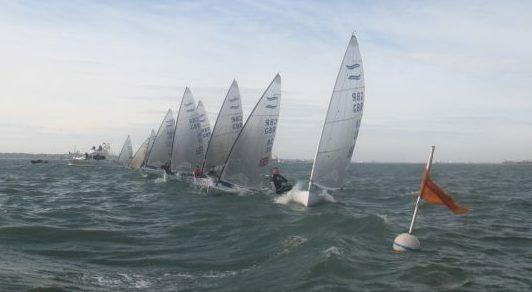 The fifth race was started in a patchy 5-6 knots but was abandoned after the wind became uneven across the course area and racing was cancelled for the rest of the day. On day four everyone arrived down at the club to a dead calm but after being towed out for the second day running a 5-8 knot breeze arrived which slowly built during the day. The first race was won by Maier and the second by the Croat Mladen Makjanic. Krutskikh won overall to take the title followed by Kuret & Maier. 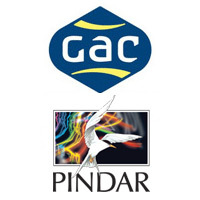 The race management was spot on with square lines and true beats and the whole fleet was very well looked after during the week with free food & drink provided after sailing. The BFA were represented by Lawrence Crispin and Allen Burrell. 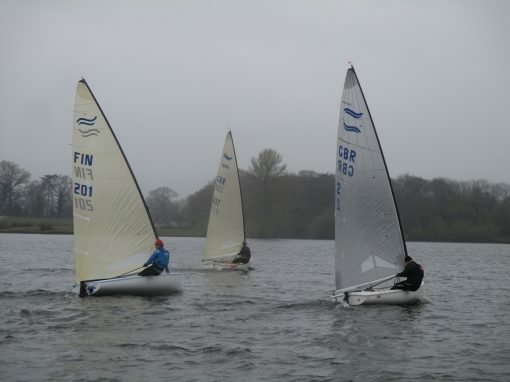 Lawrence had a consistent week in the tricky conditions to come a very creditable 7th OA. 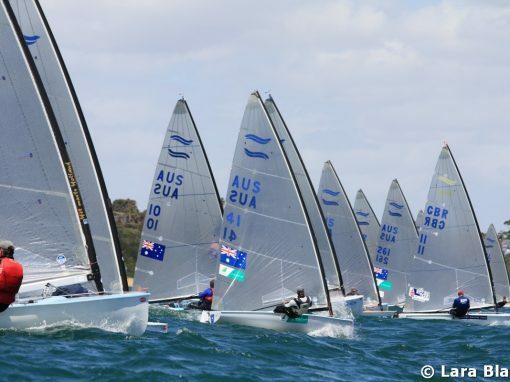 Al Burrell was not quite so consistent whilst getting to grips with a new boat – a 5, 8 & 11th tempered by 3 mid fleet scores put him down to 18th.